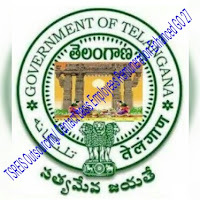 Telangana Residential Schools Contract Basis Employees Salaries enhanced GO 27 :TS Residential School Lecturer, PGT, TGT and PET Salaries Increased guidelines.Telangana School Education Department – Implementation of enhanced remuneration to the personnel working on Contract/ Outsourcing basis in Telangana Residential Educational Institutions Society TSREIS- Orders – Issued. AP School Education (TRAINING) Department G.O.MS.No. 27 Dated: 06/07/2016. The Secretary, Telangana Residential Educational Institutions Society, Hyderabad. The Director of Treasuries and Accounts, Telangana, Hyderabad. The Director, Works and Accounts, Telangana, Hyderabad. The Accountant General for AP & Telangana, Hyderabad.